Well kinda.. Have to return to work today after a great week off Skiing (and getting some sewing in) in Mammoth. 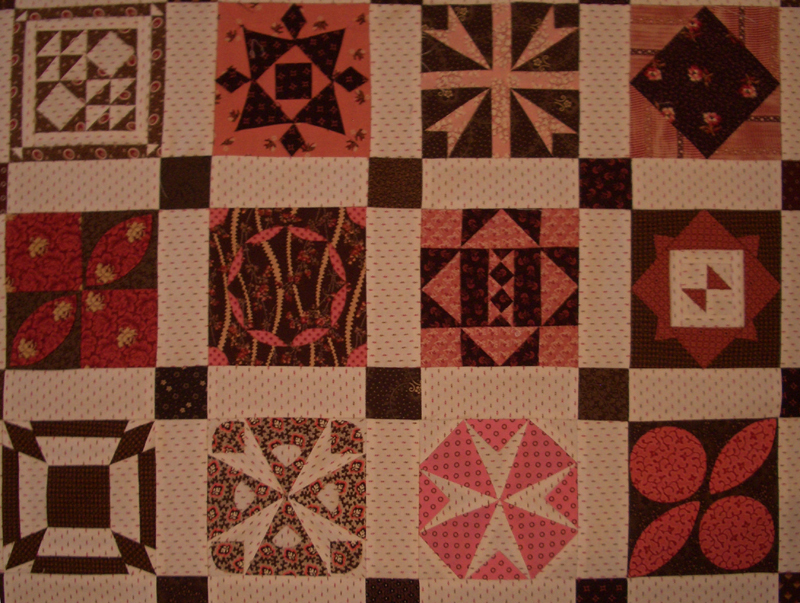 I will be working on my Dear Jane Quilt for the next few weeks. Trying to get as much completed, before a trip to Asilomar at the end of March, where I will be taking the Dear Jane Workshop. 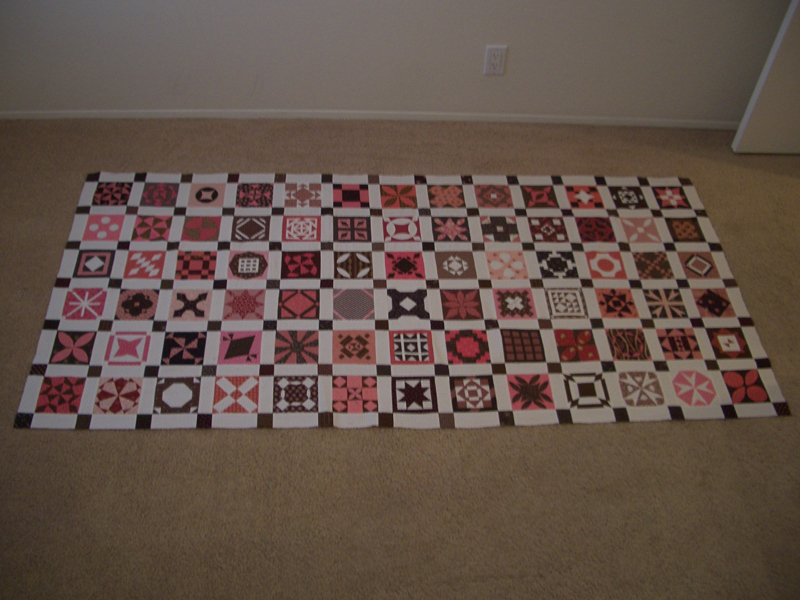 I have completed 7 rows- 6 are sewn together below, and have six more to go!! 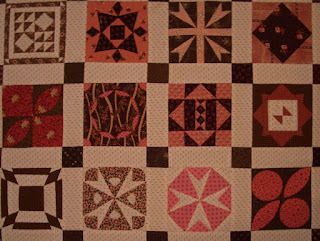 Close up of some of the blocks. For more inspiration, check out all the other Design Walls at Patchwork Times. Love your Dear Jane! My Dear Jane is in the closet, waiting for me to get up the courage to quilt it :*) Looking forward to seeing yours come to life! Kerry, your DJ is looking terrific! I wonder how other classmates from last years Asilomar Workshop did throughout the year. You still considering a second DJ in R/W/B? Your DJ is really coming along. I hope you are ahead of all your classmates, the rows and blocks are perfect. 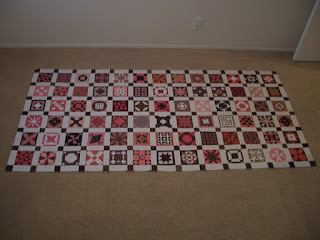 I bet you will finish this quilt before it is time to go to your workshop.